It was late at night when Hanna Rún, a 26-year-old ballroom dancing champion from Iceland, woke up with searing chest pains in Penza, a city some 400 miles southeast of Moscow. Alarmed by her worsening condition, her Russian in-laws did what anyone else would do—they called an ambulance. Rún would soon wish they hadn’t. After an ambulance ride down potholed roads, Rún was placed in a hospital ward with moldy walls, filthy sheets and screaming nurses who crudely administered an intravenous drip. In the hospital’s corridors, patients sat or lay on grimy floors. But it was the hospital’s restrooms that shocked her most. “The floor was soaking wet and muddy, and the toilet was jammed full of urine and feces,” she wrote in a blog post, since deleted, about what she called her “nightmare” in Penza. Holding her sweater over her nose to keep out the stench, Rún tried not to touch anything in the restroom: “The sink was full of blood,” she wrote. After doctors suggested carrying out an operation to “make sure” her internal organs were “working properly,” Rún decided to leave. It later turned out she had been suffering from heartburn. Rún declined to discuss her hospital stay with Newsweek, but Icelandic and Russian media widely reported the story. “A foreign woman in a Russian hell” was how Ilya Varlamov, a well-known Moscow-based blogger, described the dancer’s experience. Others saw it differently. “It’s possible it was difficult for her to adapt after hospitals in Iceland,” said Dmitry Zinovev, the head doctor at the Penza hospital. He suggested the much-discussed blog post was a deliberate attempt to discredit Russian medical facilities. While many Russians were supportive of Rún on social media, others called her a pampered foreigner. 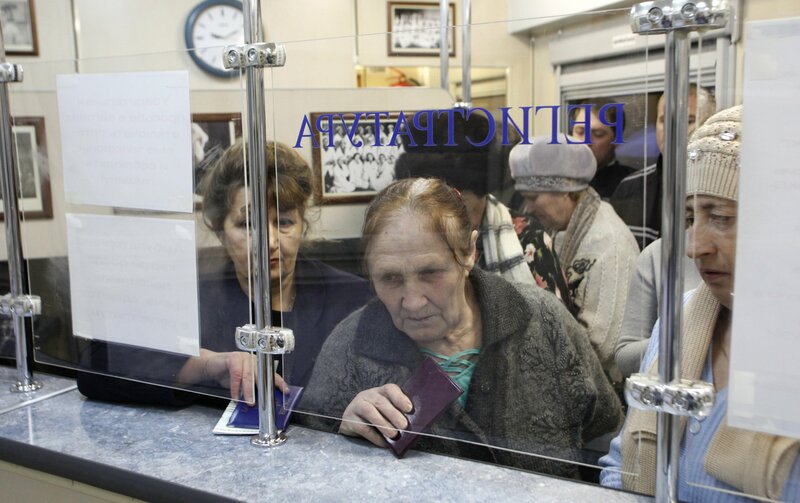 But it’s not just tourists and expats who are shocked by the dire condition of Russian state health care. On paper, Russian citizens are entitled to free universal health care. In practice, however, they are required to take out compulsory private medical insurance, while it’s also common for patients at state hospitals to bribe doctors for adequate treatment. Although hospitals in Moscow and St. Petersburg, the country’s two biggest cities, are largely serviceable, the situation is different in cash-strapped regions such as the province of Penza. Donald Trump, the U.S. president-elect, and right-wing politicians in Europe may be feting Russian President Vladimir Putin as a strong leader. But the grim reality of Russian provincial state health care often has more in common with Third World countries than a supposed resurgent superpower—and that’s where it exists: 17,500 towns and villages across Russia have no medical infrastructure at all. When contacted by Newsweek, Russia’s state health care watchdog, Roszdravnadzor, declined to comment on what it says are “abstract” allegations of widespread substandard conditions at government clinics and hospitals. It’s rare, however, that a week goes by without a horror story about state health care. In October, a cancer patient in Perm, a city in Russia’s Urals region, called his wife at 4 a.m. to rescue him from doctors whose drunken attempts to set up an intravenous drip had caused his arm to swell. “You are so drunk, you can’t even put two words together,” the man’s wife, Veronika Mikhailova, told one doctor in footage that she later posted online. “Everyone’s got problems,” slurred the doctor in response. “Your husband is ill—there’s nothing anyone can do to help him,” said another. The doctors were dismissed after national news websites picked up on the story. The consequences are sometimes fatal. This year, a 28-year-old woman named Yelena Poddubetskaya died during childbirth in eastern Siberia after drunken medics were unable to carry out a blood transfusion in time. Ambulance drivers stopped at a local market to do their shopping while transporting Poddubetskaya’s body and her grieving relatives to the morgue, human rights workers said. Regional health officials later admitted medical personnel had been to blame for the woman’s death. 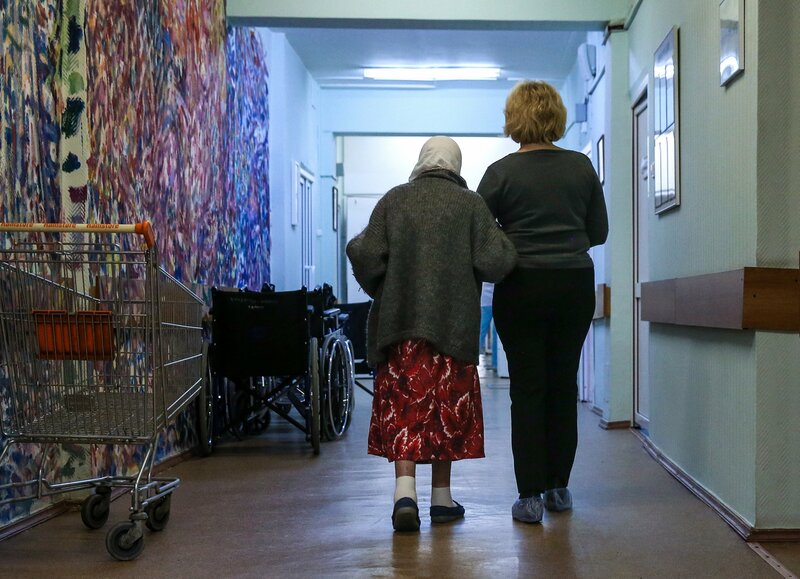 Given incidents like this, it’s unsurprising that a mere 2 percent of Russians say they are proud of the country’s state health care system, according to a recent public opinion survey by the Levada Center, a Moscow-based pollster. International experts are also critical. Russia placed last out of 55 developed nations in this year’s Bloomberg report on the efficiency of the national health care systems. Things are unlikely to get better anytime soon: Russia’s government recently announced plans to cut the budget for health care by 33 percent next year, bringing annual spending down to just $5.8 billion. That’s a level of funding equivalent to spending on health in Latin American or developing Asian countries, according to a recent report by Natalia Akindinova, director at the Center of Development Institute of Moscow’s Higher School of Economics. It’s not only haphazard medical care that poses a danger at state hospitals. Salaries for doctors and nurses in the country’s poorest regions can be as low as $250 a month — just above the country’s official poverty level. There are no official statistics, but the low pay, combined with high on-the-job stress, sometimes results in outbreaks of violence at state hospitals and clinics, nongovernmental watchdogs and medical personnel tell Newsweek. This year, a doctor at a state hospital in Belgorod, in western Russia, was jailed for nine years after killing a patient with a blow to the head following a dispute. In October, in Norilsk, a former gulag town in northern Siberia, a dermatologist at a state hospital was gunned down by a disgruntled patient. Other violence has been triggered by what critics say are the harsh Soviet-era attitudes toward patients that continue to hold sway in Russian state hospitals. One example of these attitudes is the ongoing refusal of many hospitals to allow family members and relatives to visit patients in intensive care units, even for short periods. Even though there is no law forbidding access, it is routine practice across Russia for such patients, including dying children, to be kept completely isolated from the world. “These are mainly Soviet-era doctors who think family members and relatives should not be in intensive care units—that they will prevent them from working by asking too many questions,” says Lida Moniava, deputy director at the Lighthouse, a children’s hospice in Moscow. In one incident reported last year by the opposition-friendly website Meduza, a mother forced doctors at gunpoint to let her see her dying 5-year-old daughter. After a public outcry, including a query this year to Putin during his annual televised Q&A session, Russia’s Health Ministry issued a statement confirming that family and relatives have the legal right to visit loved ones in intensive care. But even that intervention has failed to bring about change. This approach to health care is likewise reflected in the dire deficit of painkillers for terminally ill people. Although the government has taken some steps to improve the situation, Russia’s strict medical bureaucracy means that around a million cancer patients currently lack access to painkillers that would alleviate their suffering, according to official figures. Another 300,000 have already died without receiving medication. For some critics, this inability—or unwillingness—to alleviate suffering is the logical consequence of decades of authoritarian rule. Widespread distrust of state medicine has also resulted in Russians spending millions of dollars every year on so-called magical healers. “It is often the case that people with life-threatening illnesses choose to first turn to alternative forms of medicine. When they eventually visit a doctor, it is already too late,” says Yury Zhulev, a spokesman for the Russian Patients Association. Experts at the Russian Academy of Sciences say there are about 800,000 occult and faith healers operating in the country, compared with 640,000 registered doctors. Forced to gamble with their health and sometimes their lives, that’s a luxury millions of Russians cannot afford.